Ok let’s see…..appliances in the kitchen. We have a blender, a microwave, a coffee grinder, a kettle and a juicer. I practically live on tea so the kettle is the one I use most frequently, but its function can be replaced so the juicer is the one I couldn’t live without. 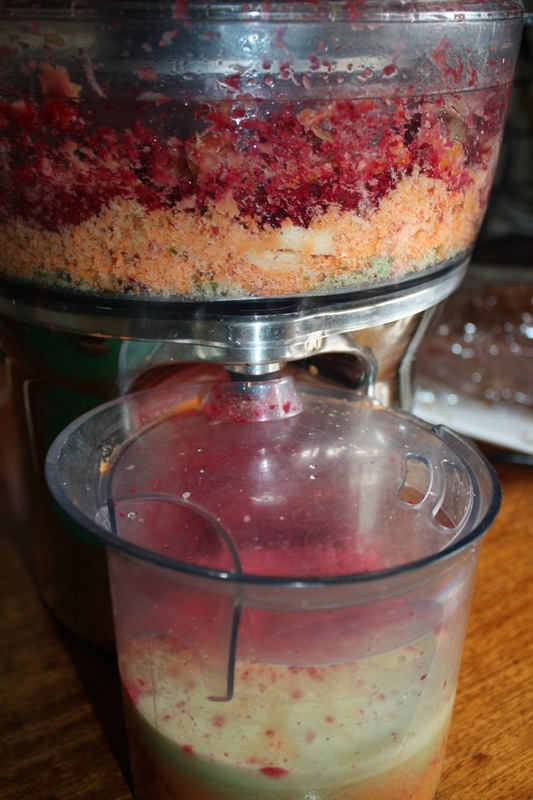 It all goes in the juicer and voila, you have fresh, Vitamin-rich juice! The problem is what to do with the remaining fibrous residue? Well, it could go in a worm farm or if you’re super creative you could turn it into little bites of high-fibre snacks. My attempt so far has been somewhat successful but needs tweaking – mix the leftovers with some eggs, flour, rising agent and seasoning and bake in the oven for 20 minutes or so. 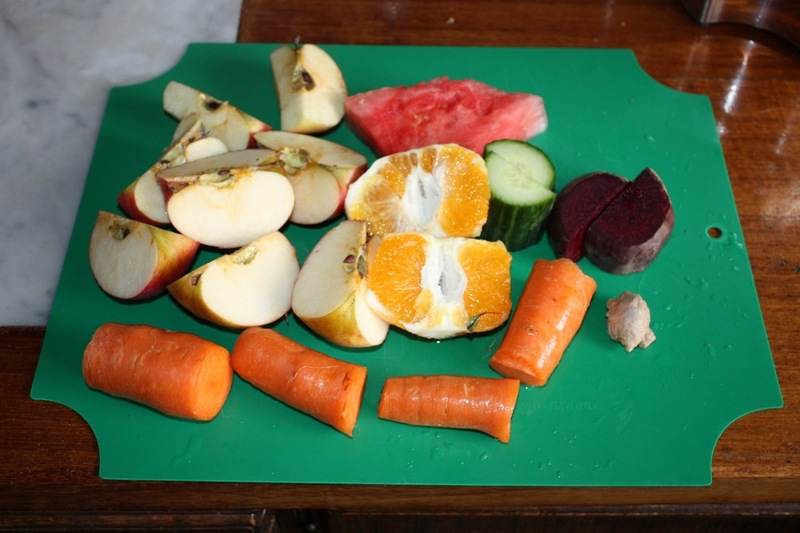 Cut into squares and have as a mid-morning snack to get that digestion going! 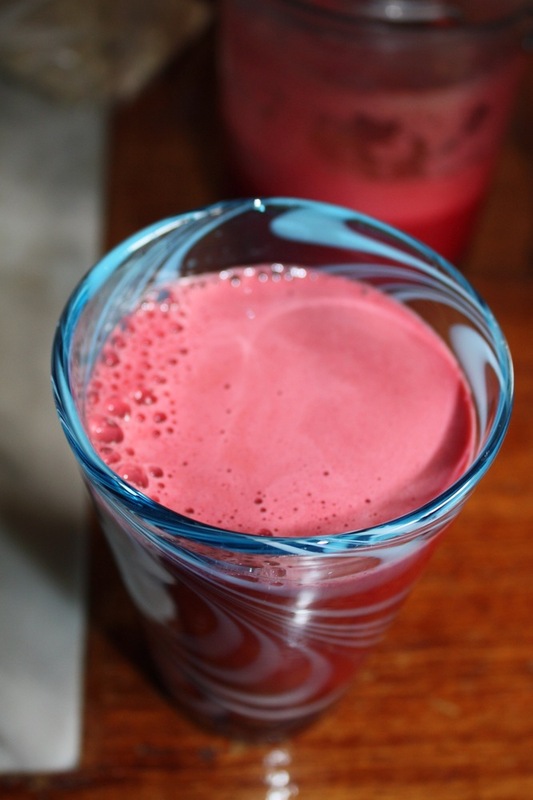 If you whizz a banana + pineapple + watermelon in a blender, and leave all the fibrous stuff in, it’s like a smoothie! Not for everyone probably, but Jackson and I love them. That sounds yum! Definitely gonna try it!